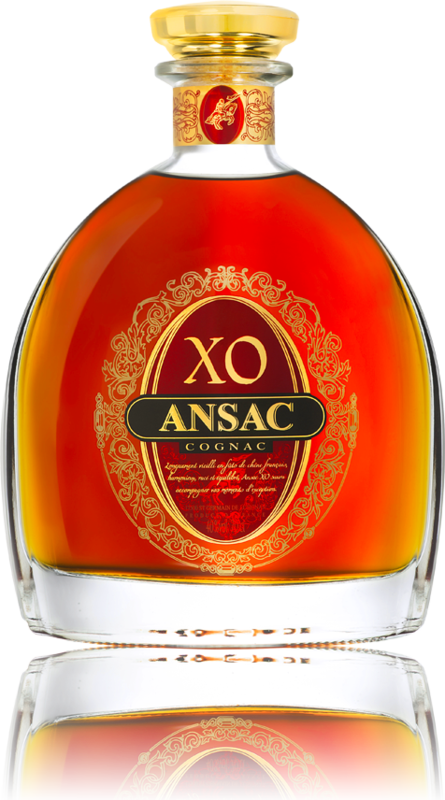 ANSAC XO COGNAC IS WELL-BALANCED, POWERFUL, AND EXPRESSIVE. 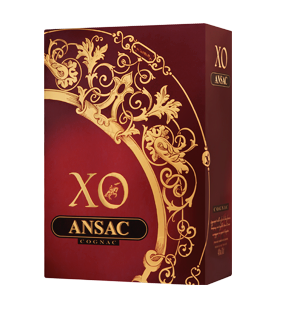 IT WILL PROVIDE A MOMENT OF PURE PLEASURE AND ENHANCE ANY OCCASION. 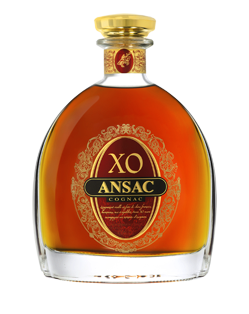 PACKAGING: ANSAC XO Cognac comes in a magnificent glass decanter with gold silk-screen printing that highlights the beautiful color of its contents. 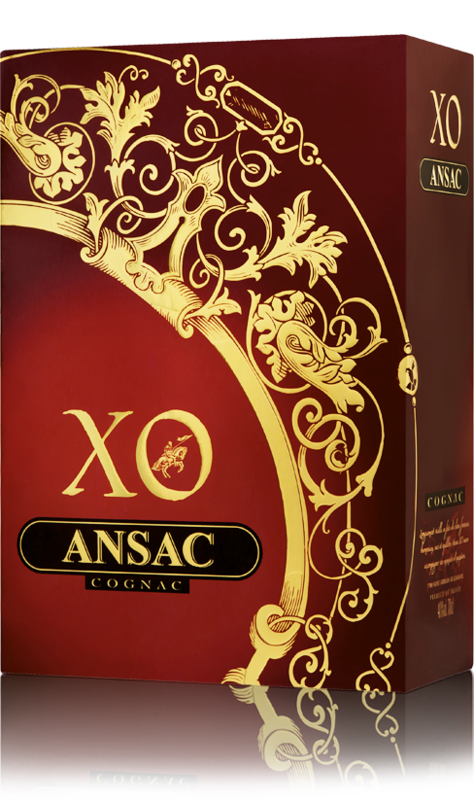 The decanter also features a distinctive gold stopper and a red and gold neckband that proudly displays the ANSAC emblem.The red and gold main label displays the brand name, the category of Cognac, and all other obligatory information. 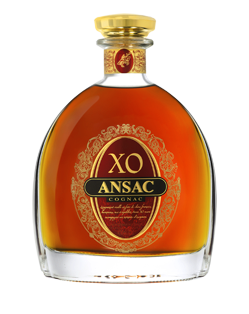 The back label lists wording required for the country where the Cognac is distributed, as well as a description of how ANSAC XO is made. The decanter is supplied in a luxurious crimson moiré box with upraised gold printing that mirrors the silk screen printing on the bottle.